Many Americans say they are uncertain about their religious beliefs, although they continue to attend Christian and other churches. Interdenominational minister Willis presents this beautifully written book to help questioners maintain their integrity while relating to the vast Mystery that informs the universe beyond all understanding. "We know we don't know," Willis says, "and yet we all (even atheists) must stand on assumptions that help us lead good lives." To explore these assumptions, he discusses different ways of thinking about God, scientific and mythical views, the sources of good and evil, and the need for both freedom and commitment. He assures us we can all think reasonably about Ultimate Reality and find a faith that fits. The book grew from theology classes Willis taught in Unitarian churches and universities and from conversations with discontented members of other discussion groups. His clear and engaging prose is full of lively exchanges with his students. 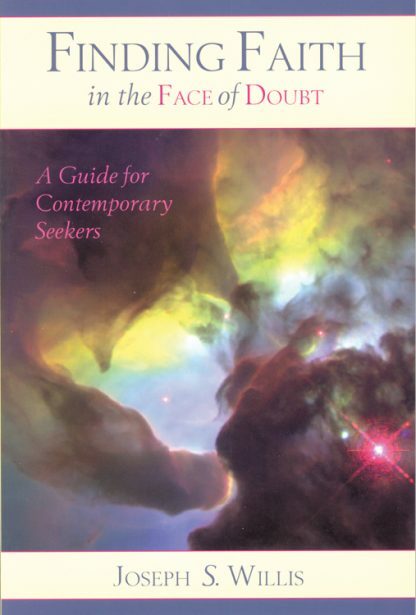 Frequent references to the best contemporary theologians (Bishop Spong, for example) and to philosophers, physicists, mythologists, and Bible experts provide an inspiring resource for those who long to resolve the conflict between faith and reason, doubt and belief.